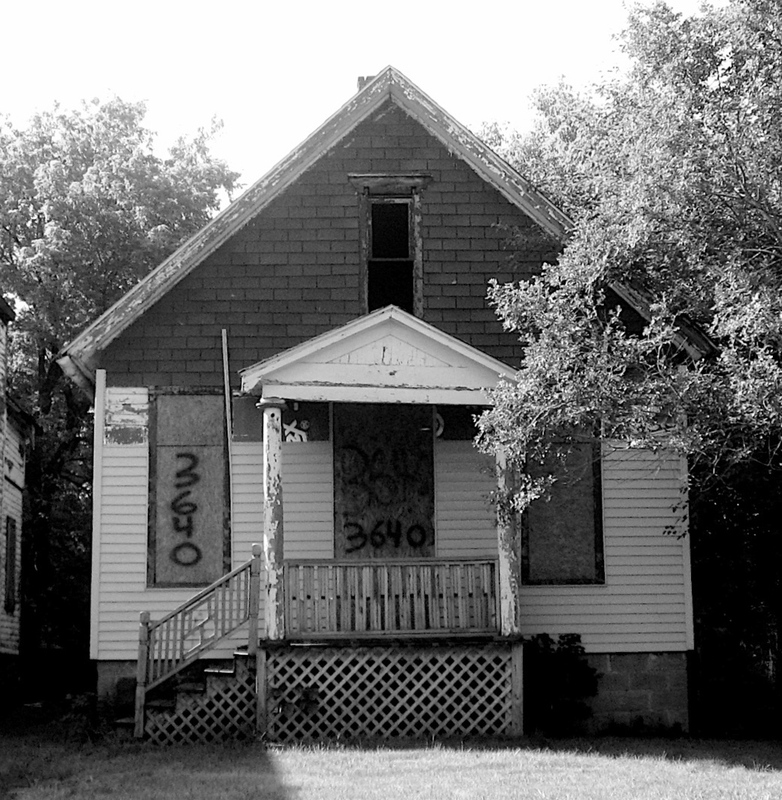 Detroit is an old city with plenty of old wood frame homes. 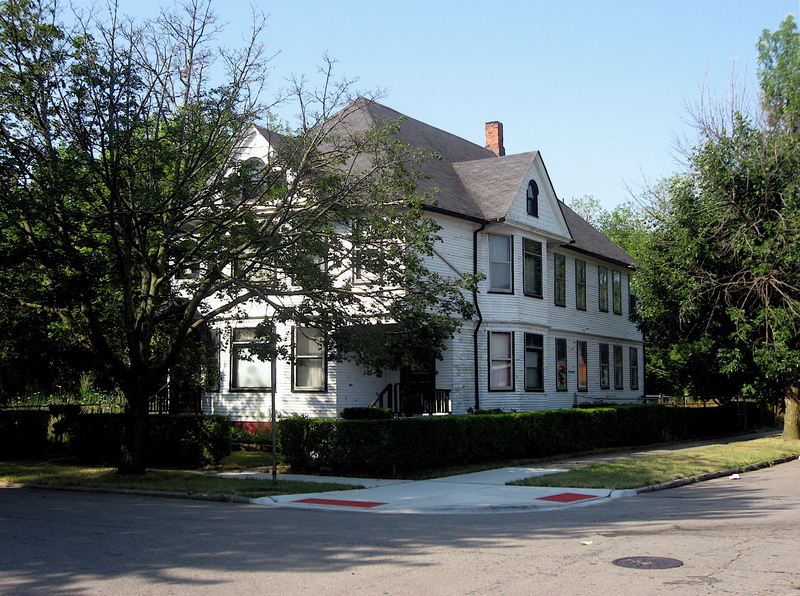 In certain sections, such as Historic Corktown, many of the frame homes were built in the mid-1800s and have been restored. 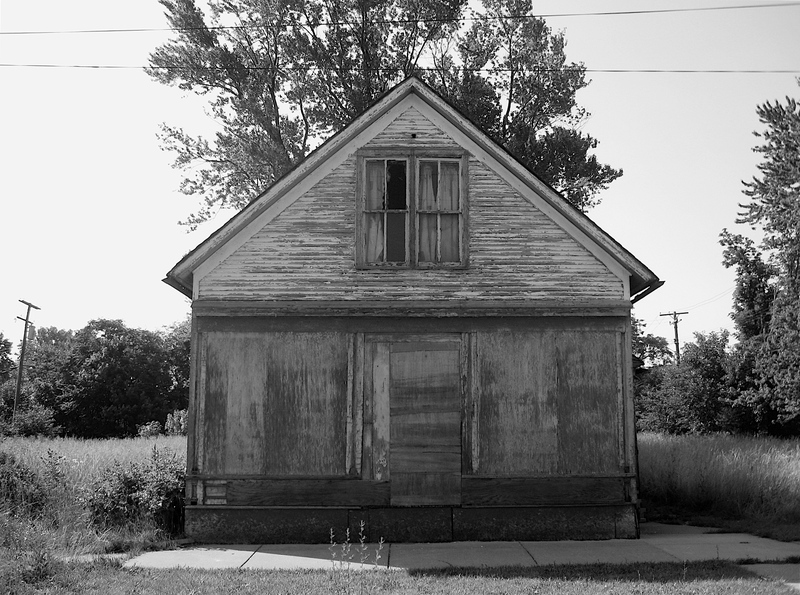 Other sections of the city, especially along the narrow streets of the eastside north of the Detroit River, have quite a few of the aged wood frame houses. Judging by the simplicity of the architecture and inexpensive wood building materials, they were probably built in the late 19th century or early 20th for the growing working-class population. 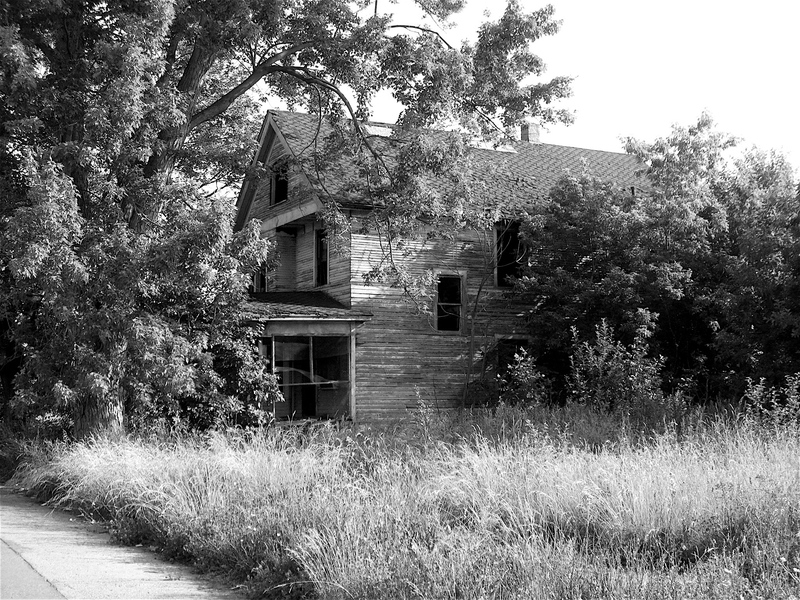 Although some of the clapboard-laden homes are still lived in, there are a good number that are abandoned. Over time they have turned a weather-beaten gray color, much like an old deserted, wind-beaten mining town of the American west. On my bike rides I see quite a few of these old working-class homes. 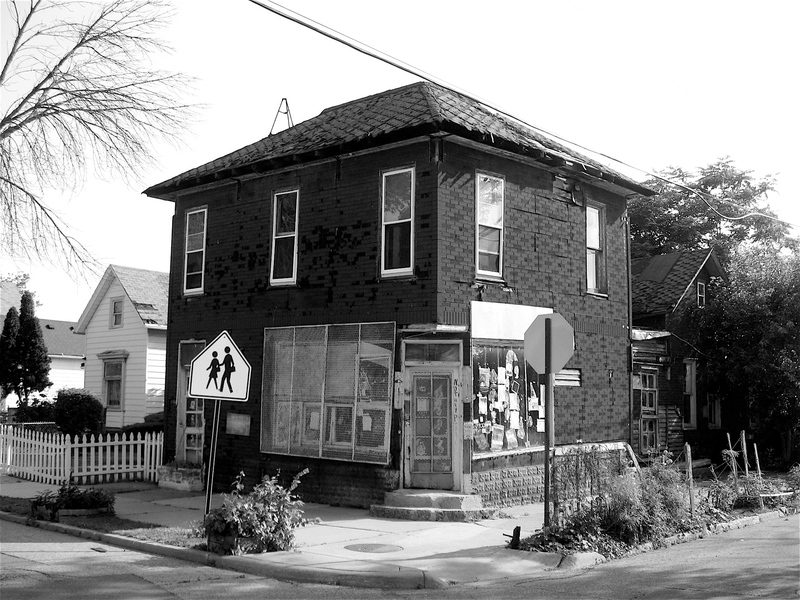 I also see a few of the old wooden two-story commercial buildings that housed general stores or other small merchants that served the needs of the once populous neighborhoods. Like the area homes, they too have a weather-beaten gray hue to them and have unusual rugged lines. 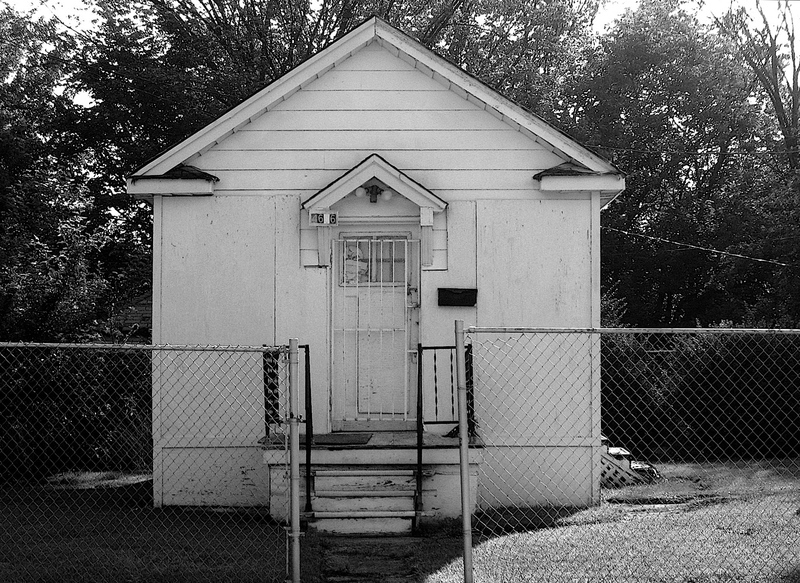 There is something charming about these 100-year-old structures that have stood there for such a long period of time. They have a certain personality quite similar to the buildings one might see in a ghost town. Most of the old wooded structures I’ve seen are paint free and have loose wood trim barely hanging on. I’ve seen others where the roofs covered in old shingles or tar paper are beginning to sag. I’ve even seen tilting porches and once perfectly squared windows and door frames that have shifted at odd angles. 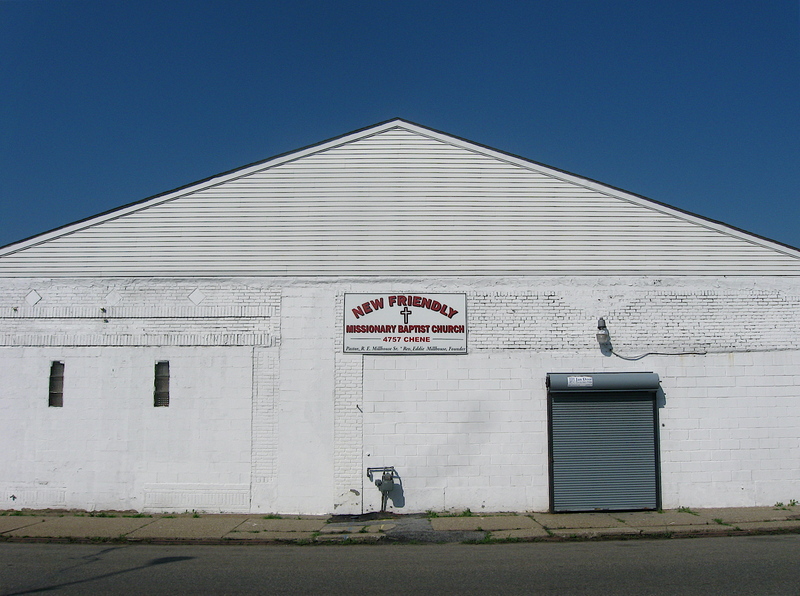 Unfortunately, another part of the city’s working-class heritage is slowly being lost. It won’t be long before these places will disappear, much like an old tree that has fallen and is now lying on the ground, slowly rotting away. 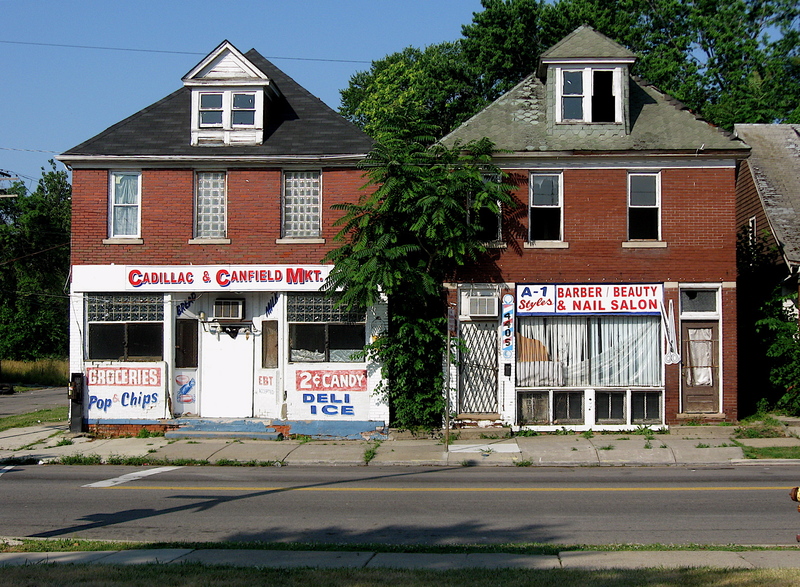 With so much vacant land in Detroit, it would be cool to secure a section of it and set up a historic ghost town by moving these old frame ghost homes and stores to the site. 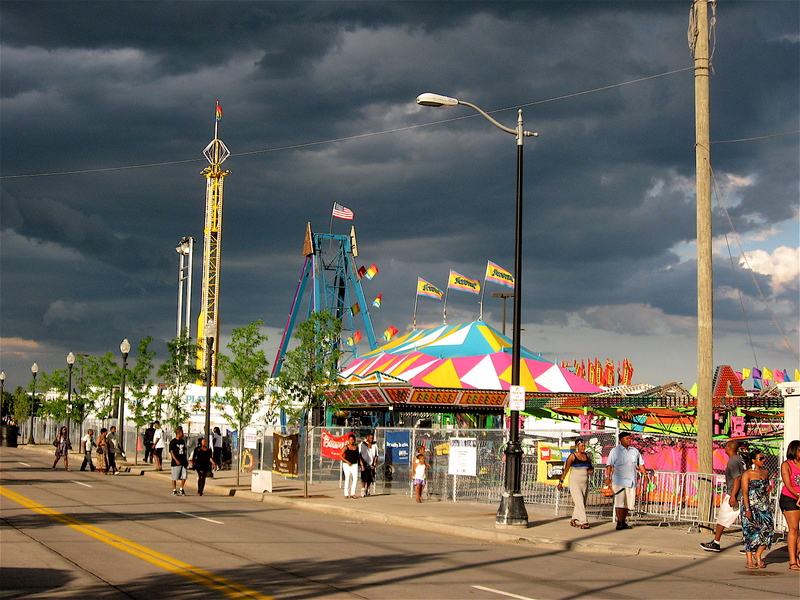 The park could be modeled after Dearborn’s Greenfield Village and others of this type. It could feature vintage lighting, bricked or dirt streets, etc. interpreters, dressed in vintage garb, could be on hand to show and explain how working-class Detroiters once lived. 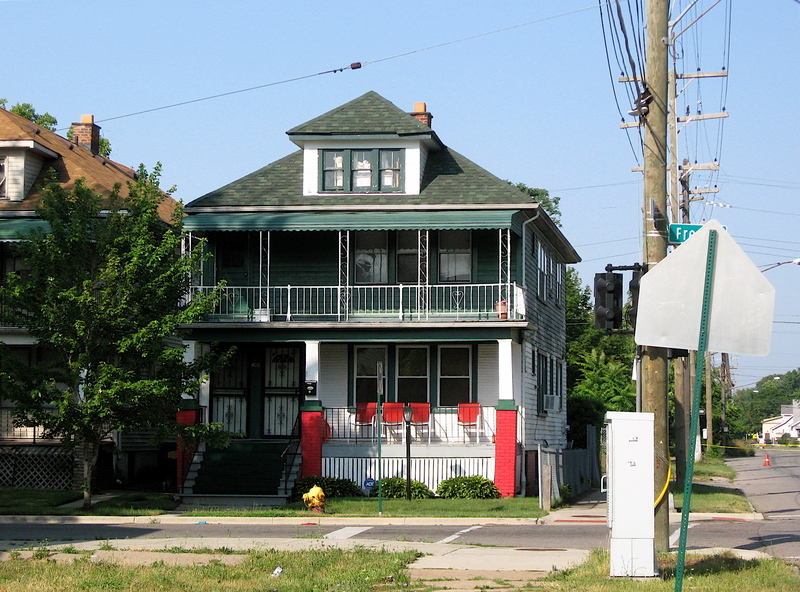 Chene Street on Detroit’s eastside runs through the heart of the city’s once heavily populated Polish community, and not too long ago it was a fairly active place. It was a street lined with ethnic bakeries, small candy stores, hardware stores and numerous corner bars. 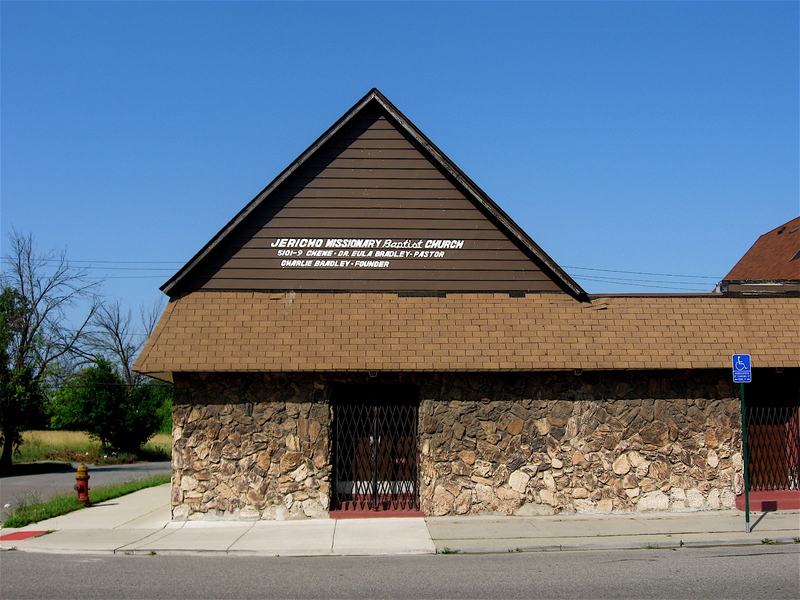 Plus, there were many ethnic cultural clubs, restaurants and even a bowling alley. Nearly all of those places have closed, and many of the early 20th century buildings that housed them are no longer standing. The street now looks to be a place for those who are down on their luck. It’s the type of street where men congregate along abandoned storefronts and empty lots drinking from bottles covered with brown paper bags talking among themselves. It’s also a place where tough, streetwise women that look to be in their 40’s or 50’s, but in reality could be in their 20’s, wave to men in passing cars. 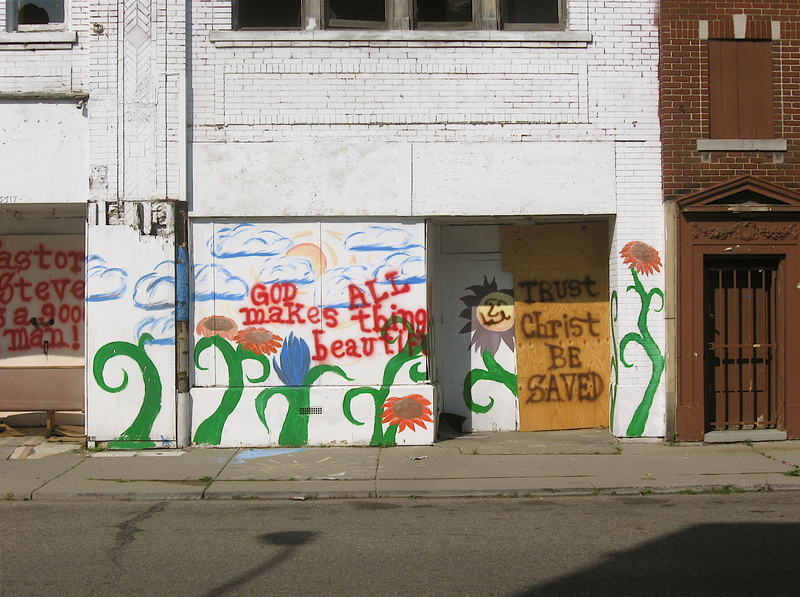 At first glance there doesn’t seem to be a lot of hope for many of those I see while riding along Chene St. However, that may not be the case. 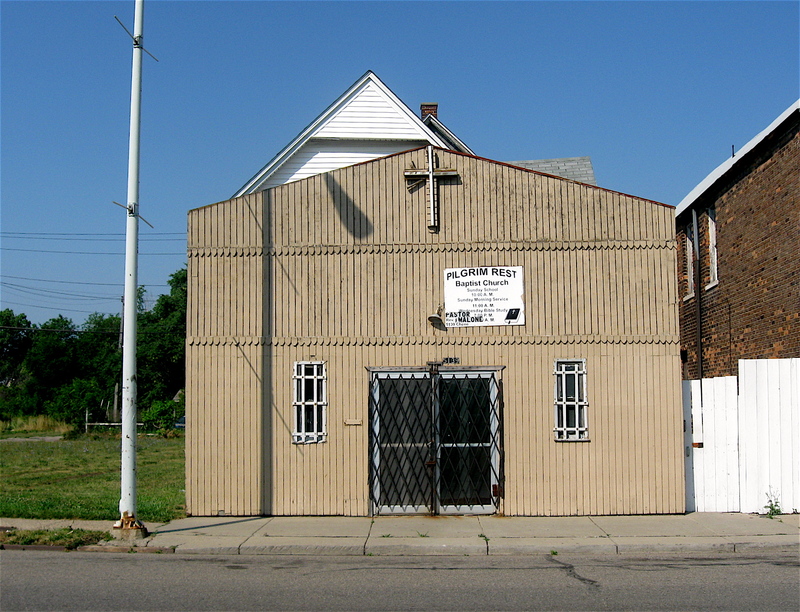 On a mile stretch of the street between I-94 and East Warren Avenue, there are a large number of churches. They are not your traditional looking churches with majestic steeples, soaring naves and gothic buttresses. 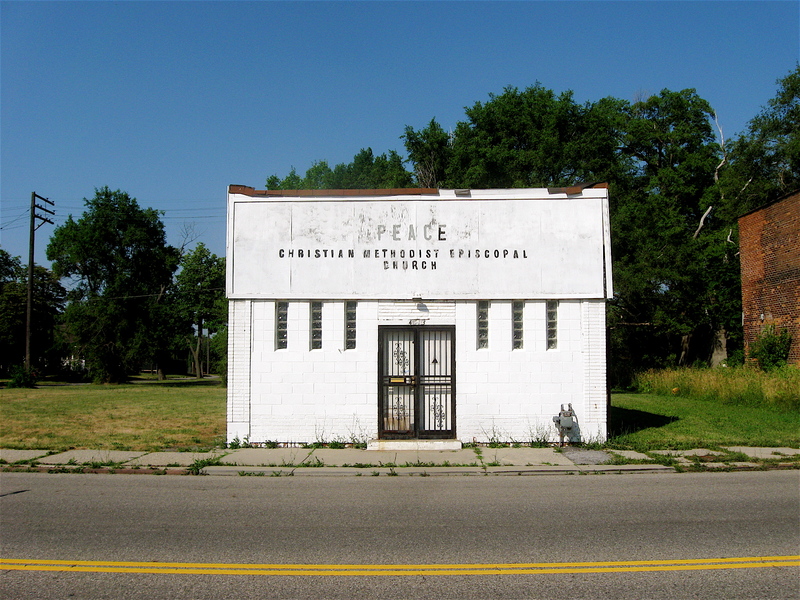 They are smaller places of worship; what many would call storefront churches. 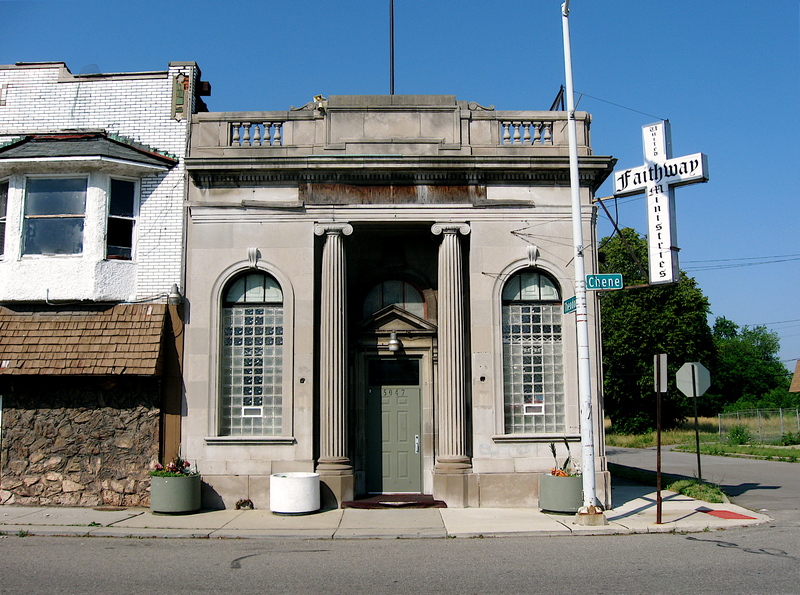 They vary in size and membership and have been set-up in structures where businesses once thrived. When I ride by on Sundays, they seem to be packed with churchgoers. There is no way of knowing how many (if any) of the people I see on the street attend the services. But I would guess that a major part of the churches’ mission is to help those found right outside their doors. 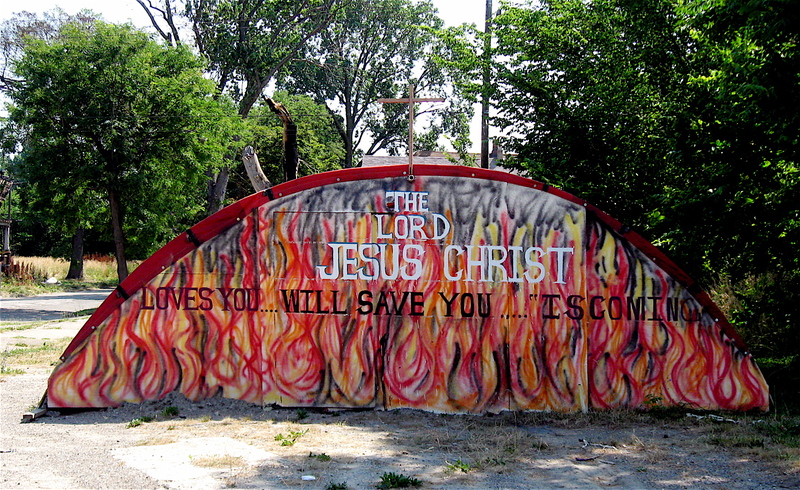 Based on some of the things I see…various wall writings; a portable tent with flames from hell shooting skyward; a large cross in a field…there seems to be a strong push to reach out and save the ones who need it most. I hope they can help some of the poor unfortunate people along that strip of Chene. East Canfield Street in Detroit is a perfect street for bike riding. There isn’t much car traffic, the pavement is smooth, and it meanders through all types of residential neighborhoods and terrain. It starts at Alter Road, and with an exception of a few zigzags it runs due west, straight to Woodward Avenue where it changes to West Canfield. Like most of the eastside streets, E. Canfield does not cross the busy railroad tracks at Conner Avenue that trains use to feed parts and pick-up cars from a nearby automotive assembly plant. The only way around them is the Mack Avenue overpass or East Warren Avenue, both about a ½ mile detour. The one-mile section of E. Canfield between Alter Road and Conner is sparsely populated and mostly free of homes and other buildings. Many of the once heavily populated blocks are open land and have reverted to acres of urban prairies with tall grass, overgrown weeds and large trees. 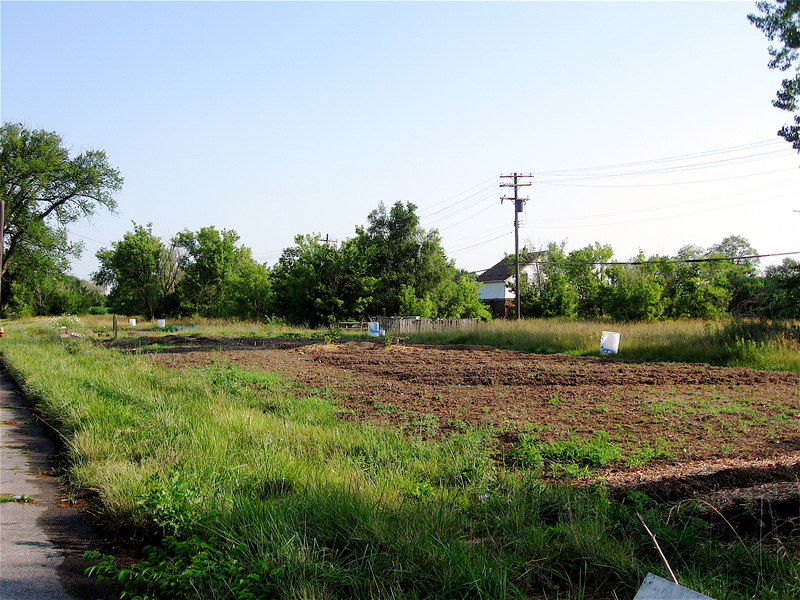 A few urban gardeners have taken advantage of the open acreage by converting several sections to community gardens. The two-mile stretch from Conner to Gratiot Avenue is much more populated. 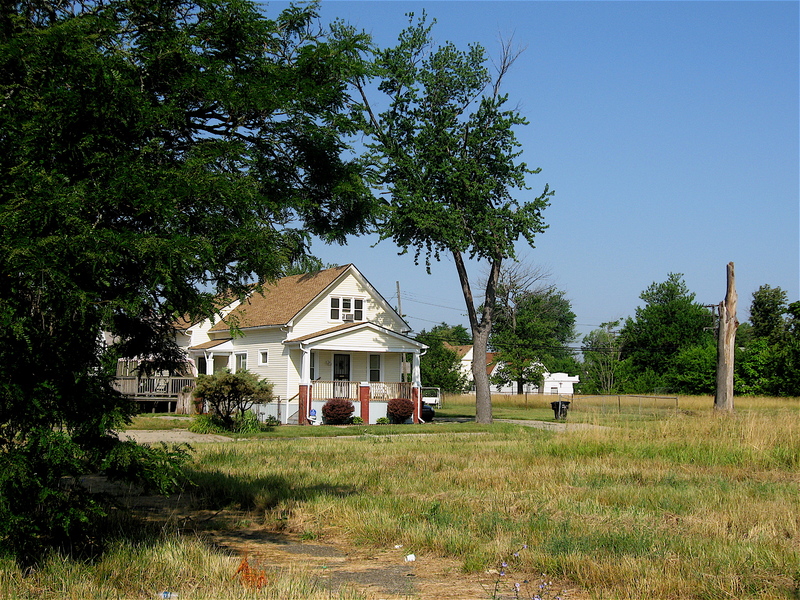 There are few vacant lots and abandonment is minimal. The homes along that stretch are in good shape, and the architectural styles vary from a nice mix of vintage frame homes, most likely built in the 1920’s and 30’s, to single-family brick places from the 1940’s or 50’s. I also saw quite a few circa 1920’s multi-unit apartment buildings with inviting porches. There is one area where newer, modest two-story homes have been built. 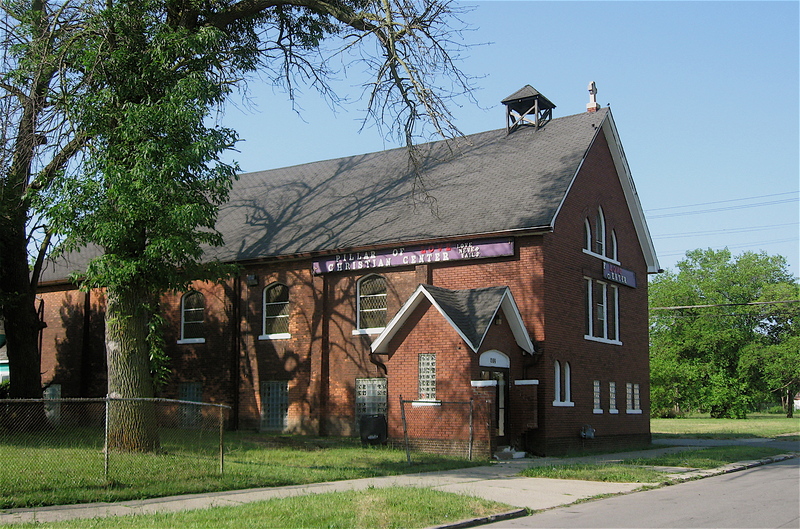 There are quite a few active churches on E. Canfield. On Sundays they are jammed with people, and I can usually hear high-energy gospel music coming from within as I pedal by. 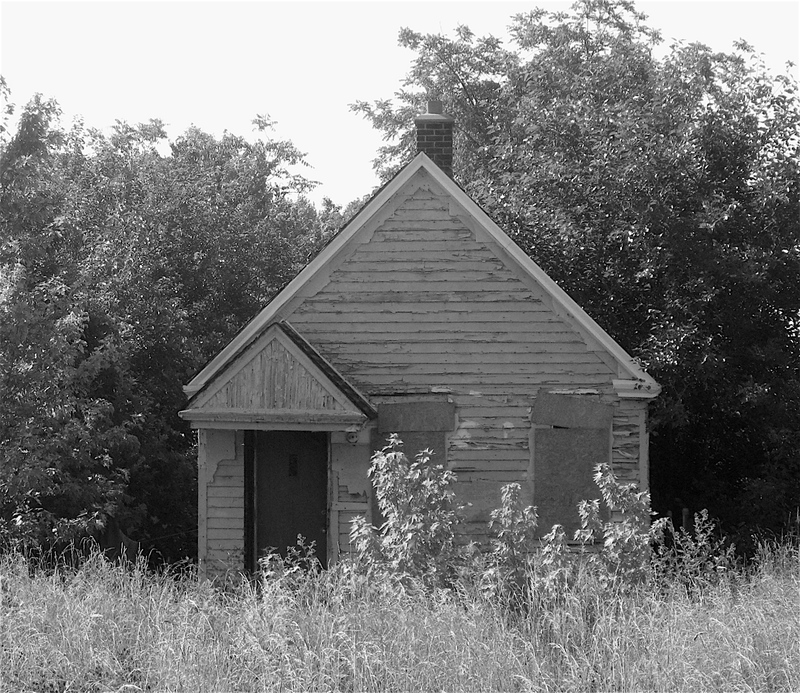 There are a couple of large public schools on the street, but both are no longer in use due to shifting populations and consolidation. Retail is pretty much non-existent, with the exception of a couple of party stores and barbershops. Judging by the condition of the vacant commercial buildings, it looked as if the small retail businesses have been out of business for many years. 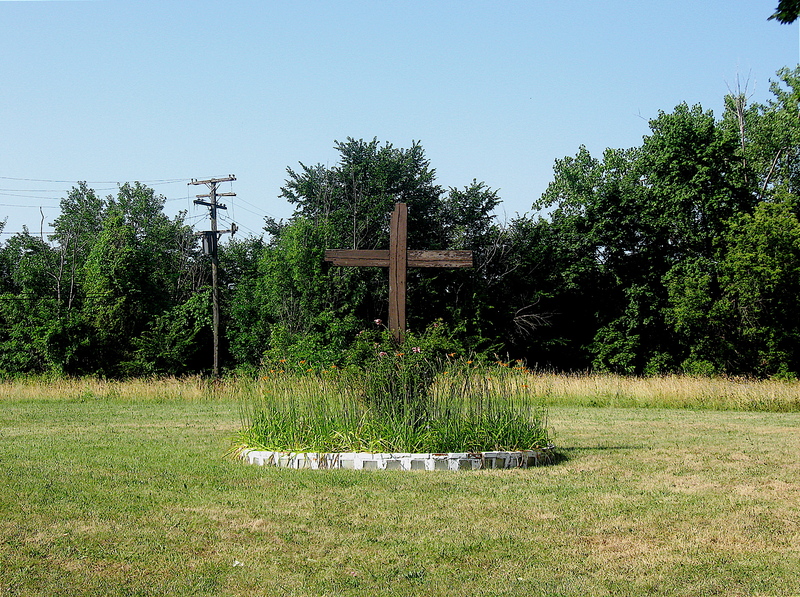 What I find interesting about E. Canfield is how the landscape changes. Starting at Alter Rd. heading west, it is a sparsely populated with plenty of open land. 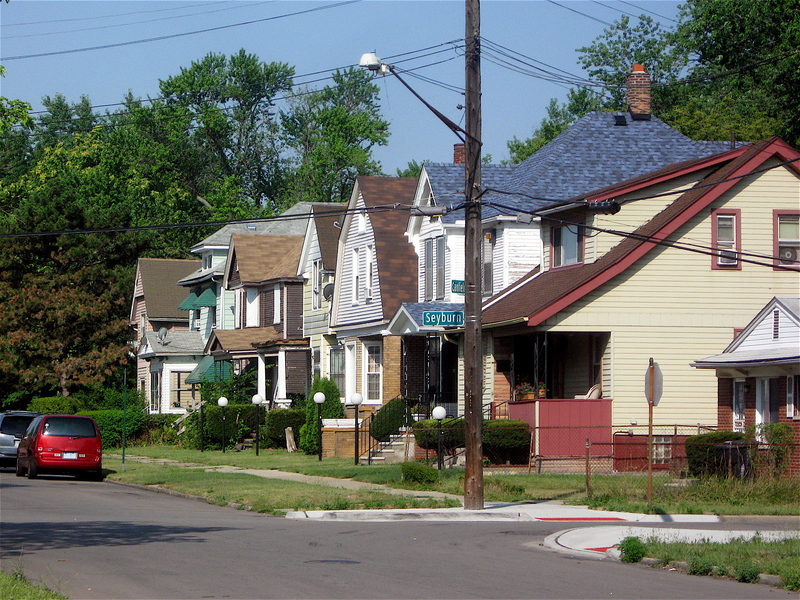 From Conner Ave. to Gratiot Ave., it is packed full of houses in stable, well-maintained neighborhoods. From Gratiot west to Dequindre Road, near the Detroit Medical Center, it is much like the Alter Rd. section; thinly populated with fewer homes and many fields. Looking at the landscape as I rode along E. Canfield reminded me of a donut, and in many ways, the street embodies the city of Detroit. The outer edge has open fields and few homes, and the center is full of life. 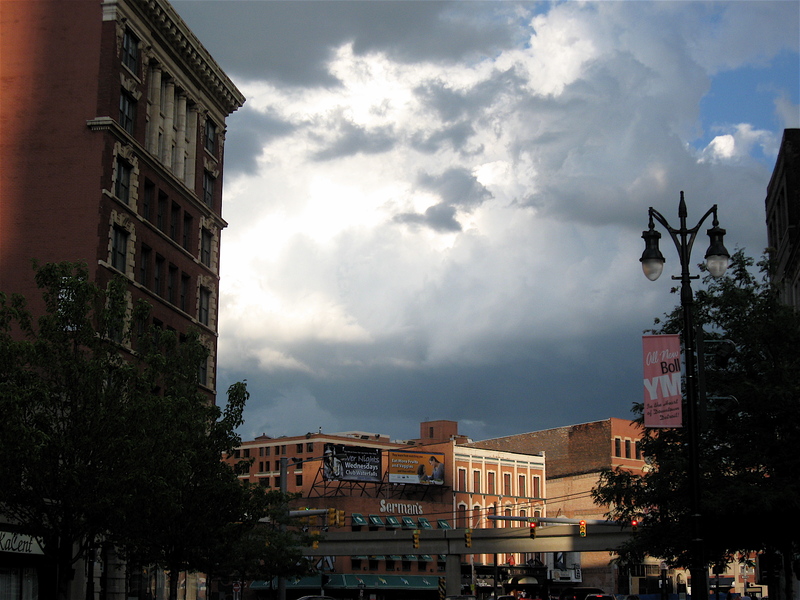 Lately I’ve been riding my bike throughout the many downtown Detroit streets and along the three miles or so of the city’s river walk. Both areas have their unique sights and sounds. Depending on when I’m there, the streets can be light on cars and free of city busses that, in many cases, tend to crowd the curb lane for obvious reasons. In more of the central office building sections of the city, the sidewalks are usually free of pedestrians and have practically no activity. In other more popular areas of downtown sidewalk cafes and outdoor tables are setup on sidewalks in front of pubs and restaurants, and they are typically full of people taking advantage of the warm summer weather. 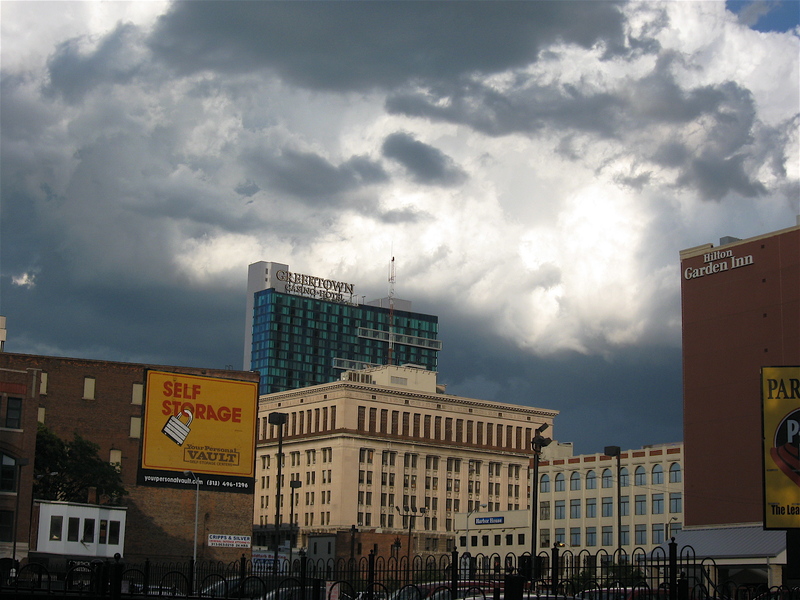 The river walk can be quite busy, especially along the stretch from Hart Plaza (at the foot of Woodward Avenue) to Rivard Plaza, a half mile or so east of the Renaissance Center. 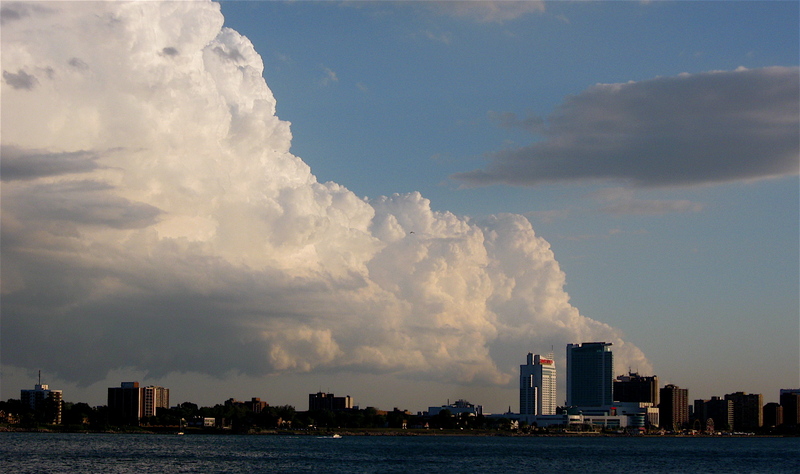 That section seems to be the most popular for families, casual walkers and those taking a leisurely bicycle ride along the Detroit River, where both pleasure craft and thousand-foot ore carriers share the river’s narrow passageway. Further east, beyond Rivard Plaza to Mt. Elliot Park where the walk now ends, the pedestrian traffic is noticeably lacking and almost non-existent in some sections, with the exception of a few runners, bicyclists and a fast paced walkers. Both bicycle rides offer considerable contrast. 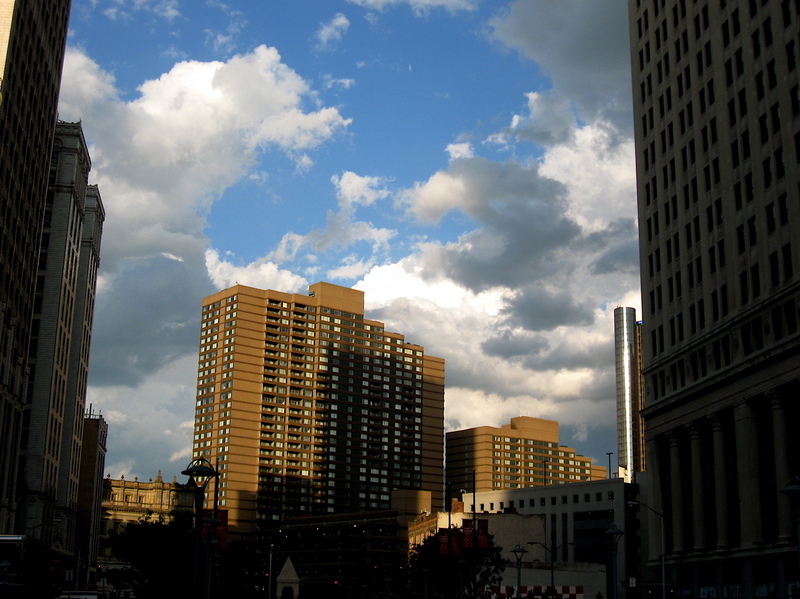 The city’s urban environment, with its tall buildings, traffic, businesses, etc. is in harsh contrast to the calmness, serenity and the casualness of the constant flow of the Detroit River as it moves past the walk. If there is one thing that both settings offer, it’s the striking background to the incredible puffy, rolling clouds I’ve seen on my early evenings bike rides over the past few weeks. I’m not sure if they are the result of the recent heat we’ve been experiencing. 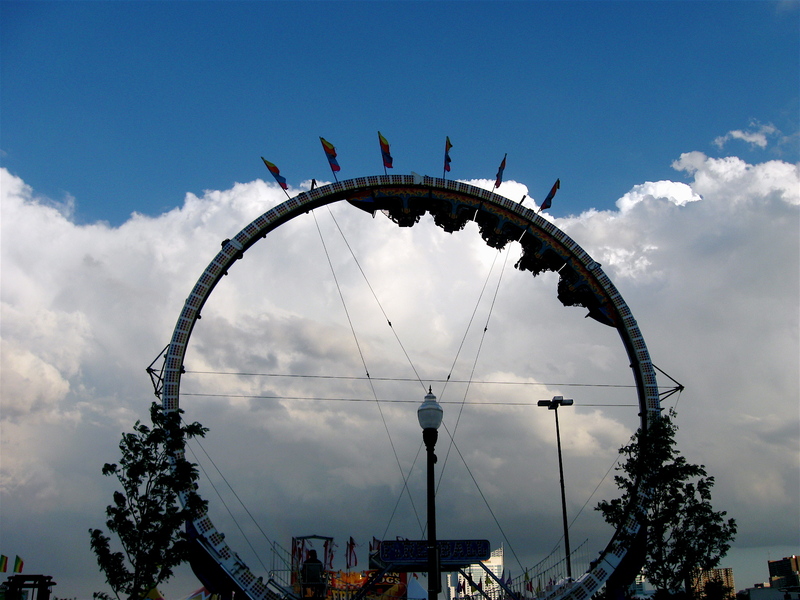 Whatever the reason, the stacked clouds have filled the sky with rolling, bulging white masses, various shades of gray and the heavy darkness of pending storms that never seem to arrive.